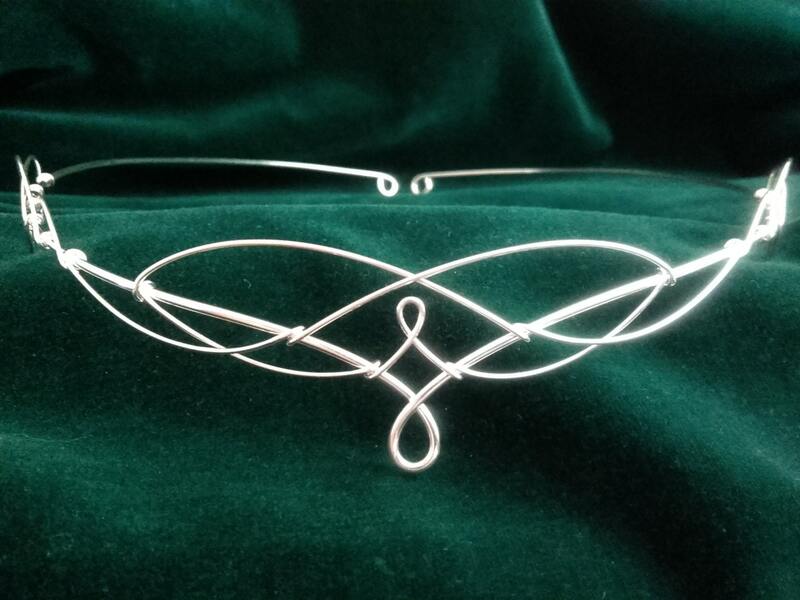 Beautiful handmade silver plated Elven inspired circlet crafted from just two lengths of wire emulating traditional Celtic knotwork. The circlet is open at the back with loops for ribbon or cords to be attached. It can also be pinned into place with standard kirby grips. 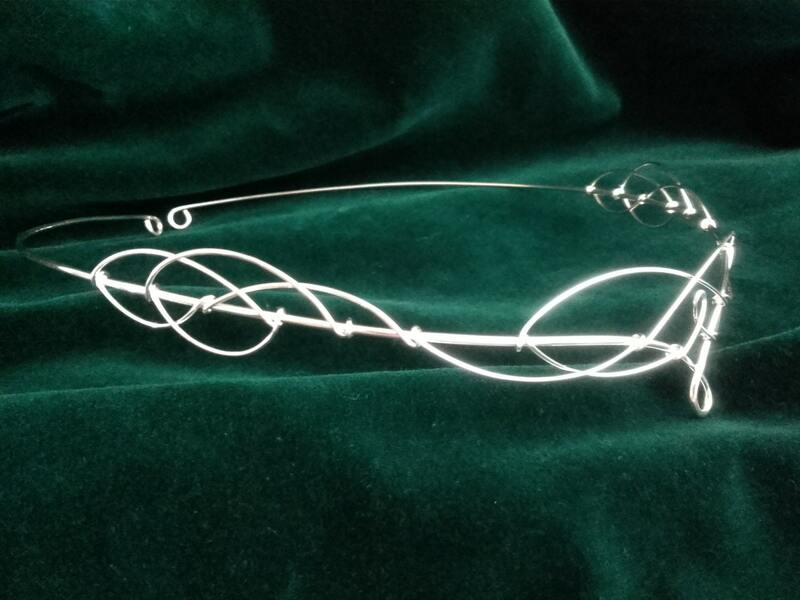 The circlet is entirely handmade, therefore it is both sturdy and flexible and very comfortable to wear. 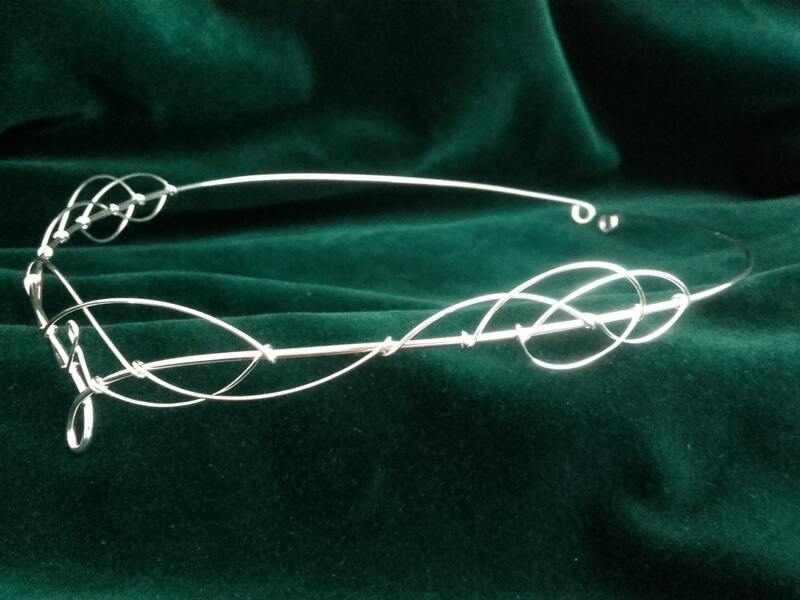 The design element of the circlet measures 28cms (11 inches) across. Top to bottom at the center 2.5cms (1 inch). The full circumference of the circlet is 52cms (20 and a half inches).